Well it’s official! 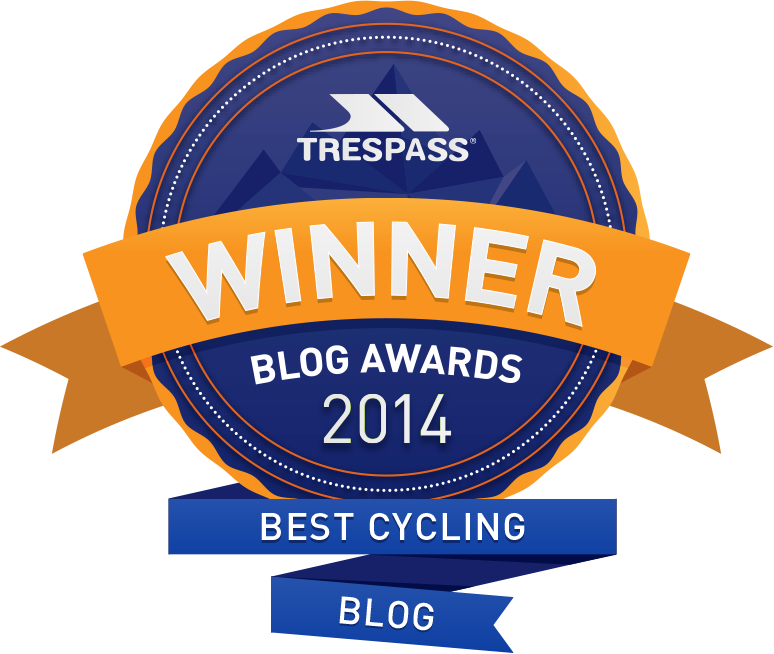 After being nominated for several awards (and not winning), being listed as one of the top UK cycling blogs by Cision, named ‘An Influencer’ (whatever that means) etc etc, I’ve actually gone and won an award for best cycling blog. Thanks to Trespass for deeming me worthy of inclusion on the shortlist, and thanks to you, my kind readers for voting for me! When I started this blog, it was just as a digital diary so I had something to look back on in the future, with a place to record my thoughts and store some photos. As time went on, it grew into something bigger, so now it’s a combination of many things, with diary entries, touring tips, articles on women’s cycling, rants and reviews. By accident rather than design, it turns out that people want to read what I choose to put here. Who’s have thought? So from now on I’ll take this whole blogging malarky more seriously… Not! Keep on the good rides and the good articles ! Up Next. What Are The Best Events Of 2015?